Whether you own a large international company or a market stool we can help maximise your profits. As a trade customer you will receive discounted repairs, 30 days credit , VAT receipt , The very best quality Repairs, Free advise and a dedicated member of staff. We are a large trade repair service based in South East London we offer a trade collection and delivery service free of charge. We will collect and deliver anywhere from North London to the South Coast and any where within the M25. We also have a freepost service with a courier return for anyone wishing to take advantage of our Quality workmanship outside of London. We have been servicing large retail outlets for nearly three decades. 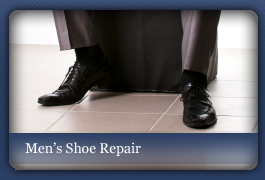 We specialize in fixing customer complaints and refurbishing customer footwear to the original condition. We can rectify any faulty stock to perfect condition ready for your resale. 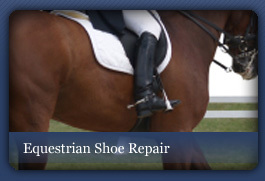 This might include sole heel securing changing, removing trims stitching or just removing logos or brand names on soles, uppers and in sox, which in many cases is more cost effective than shipping back to the manufacturer. 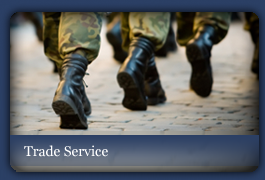 We already service the London fire brigade, met police, armed forces, and bespoke shoe makers, riding schools, hospitals and many local shops. We can offer invoiced monthly statements, pro rata, bacs or cash on delivery. With our large London based factory we are able to cope with any amount of work with a very quick reliable service. In our experience a customer is more likely to purchase designer and bespoke footwear if it can be serviced and maintained direct from the retailer. It gives a customer peace of mind knowing that their investment can be restored by competent craftsmen. References can be given and contacted regarding our target return times and quality. 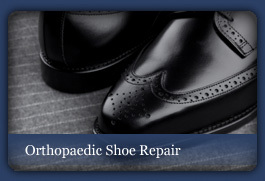 For trade collection enquiries you can call us on 020 8300 1960 or e-mail us on trade@shoe-repairs.co.uk. Our staff will be more than happy to answer any queries that you may have. alternatively you can download a trade order form and free post label for individual repairs.